My Star Wars obsession began with the originals and endured through a lifetime of supplementary material and sub-par prequels. When X-Wing came out, I was intrigued; if a little reluctant. I already play 40k. A game few wallets can withstand, and I’ve been hurt before. In spite of myself, I’m head over heels. So enamored in fact, I purchased the entire line. Now, I play every Sunday. The game is a load of fun. Zooming around, trying to get a target lock, feels meaningful. Under the hood, the game is elegant, free from needless complexity. PVP is about pilot spatial awareness, forcing players to visit the intentions of their opponents, deciding maneuvers, and counter-maneuvers before the start of every turn. Pilots writing checks their bodies can’t cash. The meta is fun. Pilot and gear pairings aren’t the doomed enterprise of other games where a competitive loadout overrules player preference. As a rebel, it’s all about mods for my plucky band of space terrorists and their rundown, barely flight-ready tech. Across from me, the space totalitarians always feel fancy. Their aces seem better equipped, moving and turning like mavericks. Win or lose, it all feels the way a galaxy far, far away should. For some more reading, here’s another (slightly older) review of X-Wing. Sound like fun? Lock up the game yourself. 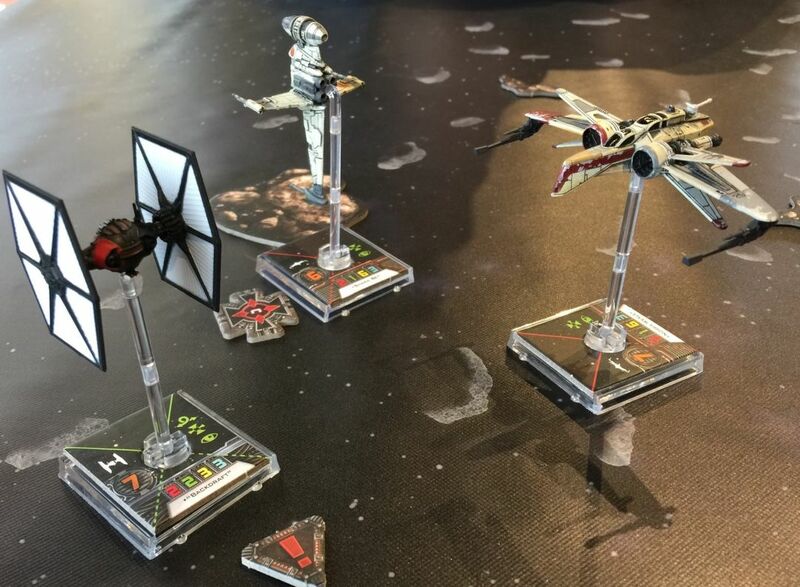 Have you played X-Wing? Interested in trying it out? Let us know in the comments. Bell of Lost Souls has a great new Announcement and Interview for version 2.0 – check it out and let us know what you think.